Breathe easy - you're home now. Whether you are looking for a one, two, or three bedroom apartment in West Chester, PA, you are sure to find the perfect fit with our selection of floor plans. All of our spacious one, two, and three bedroom apartments in West Chester, PA feature newly renovated interiors, 9' ceilings with crown moldings, and oversized closets. 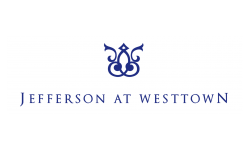 Wake up every day at a home you love at Jefferson at Westtown.